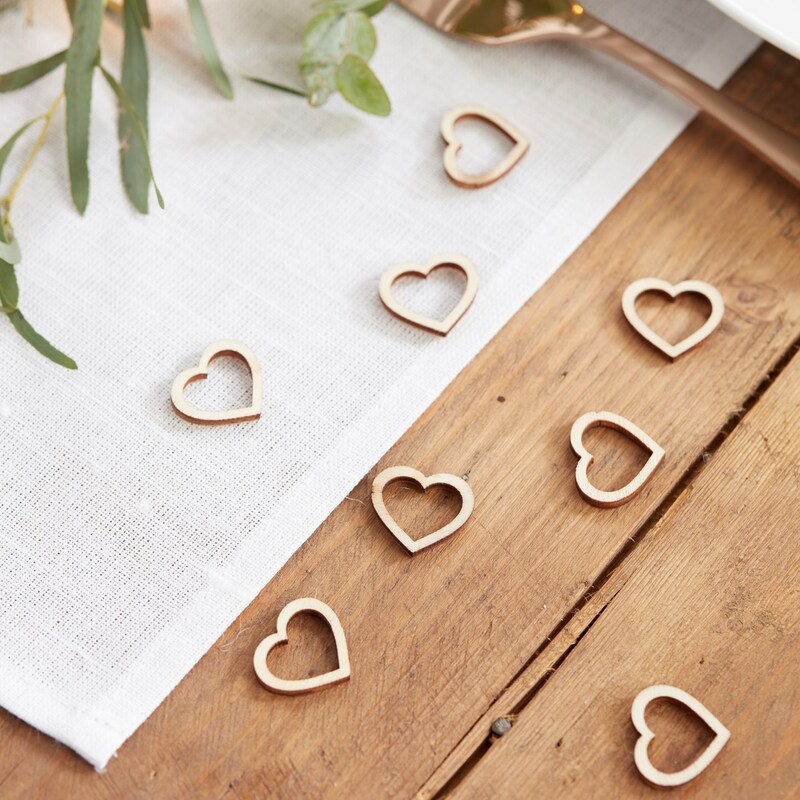 Scatter this gorgeous wooden Heart Confetti on the tables at your next special celebration! Perfect for birthdays, baby showers and your big day! Use the unique confetti at your wedding reception to create a stunning chic set-up. The lovely heart design is sure to be loved by all guests and can be taken home as a keep safe! Each pack contains 25 pieces of heart confetti measuring: 2cm (W) x 2cm (H).